But there are several differences between reflex cameras and smartphone cameras and one must be aware of several things to take good pics. 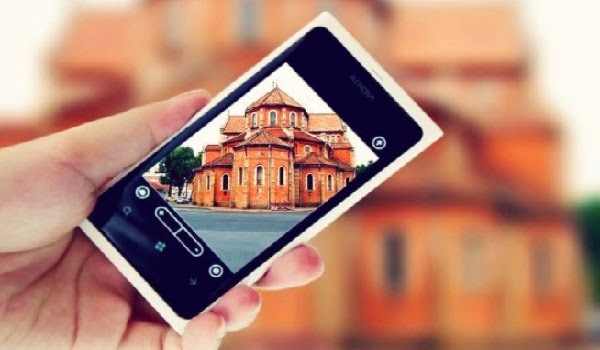 These tips are not really just for Android smartphones but most are applicable to iPhones and even digital and reflex cameras. When taking a picture, don't move. This simple tip is often overlooked by many. Smartphones usually need a fraction of a second to get their autofocus calibrated and another fraction to take the picture itself. To take a good picture, don't move before taking the picture and a full second after you hear the clicking sound. Autofocus on most smartphones works by zeroing in on differences in the object being photographed, on the details. If you see the autofocus does not work (some smartphones display this as a red rectangle), move the center of the image to another object within the same distance, press the camera button, wait for the autofocus symbol to turn green, move the picture center to what you need to photograph and remove your finger. Most smartphones and Android OS versions have an electronic zoom function of x4. Be aware that this is electronic zoom and do not expect the picture to be the same as optical zoom. You will lose contrast and details and it is MORE important not to move when taking the picture. Anyway, try to avoid taking picture of distant objects. Smartphones just don't handle it as good as reflex cameras. Make sure whatever you need to photograph is well lit. Yes, new smartphones have flashes and the ability to take low light pictures but longer exposure times will make the picture blurry unless you have rock steady hands. If possible, turn on the lights and then take the pic. It will turn out better. The default Android camera apps for smartphones have a lot of options. Make sure you select the correct one for the picture you're about to take. Is it a close up of a flower? Use macro. Taking a picture of your wife? Use face recognition mode. Your kids move around a lot instead of posing? Take the time to select fast or sport picture mode. Don't forget to take advantage of the many possibilities offered by taking a picture with a smartphone. Since you have the whole Google Play apps at your disposal, don't forget you can download camera apps that have built in filters and can instantly create a picture with items, text box, various filters such as MomentCam that can create instant cartoon pics. Last but not least, make sure the picture size created is compatible with your available space on your smartphone and if necessary, expand the storage through external SD cards.